This is a simple and lovely hair accessory for bridesmaid or flower girl. In preparation for a friend's wedding, I was asked to find some matching accessories but it wasn't easy to find something suitable and reasonable. 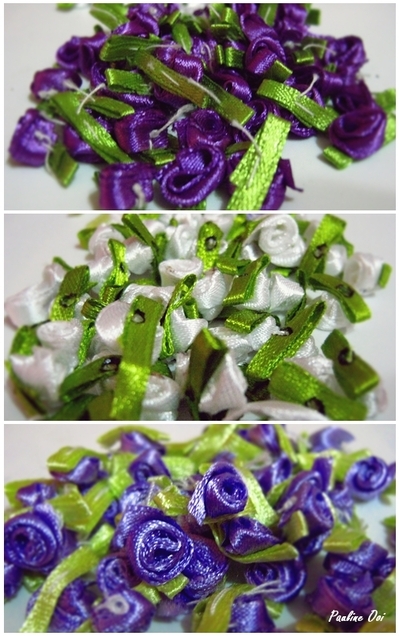 At last, I attempted to make my own to match the wedding theme color which was lavender / light purple. 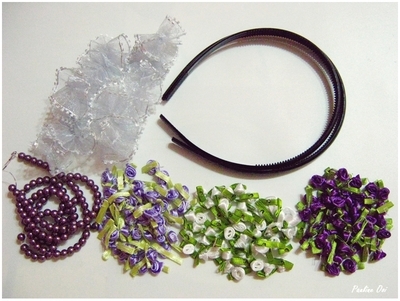 Using a hot glue gun, apply a thin line of glue along the hairband and place the ruffled white lace on top (position depends on individual preference e.g. center or side). 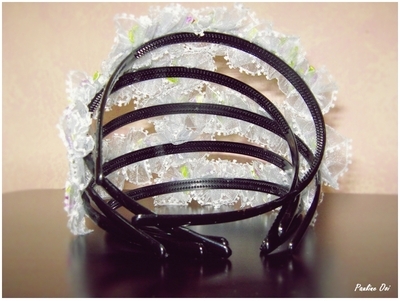 Press the hairband and lace lightly to make sure they are glued together. 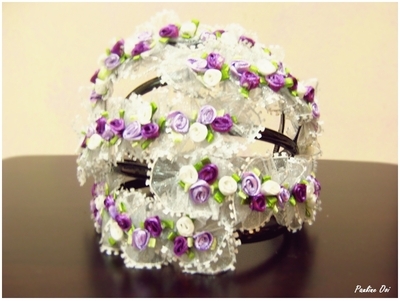 Apply a dot of hot glue at the bottom of each rose bud and place them at the center of lace along the hairband, alternating the colors. 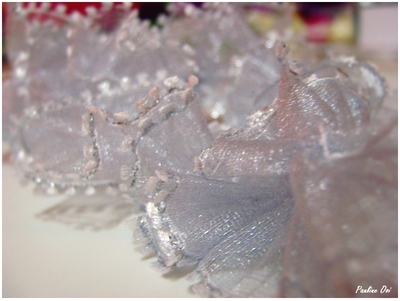 (Optional - beads can be added if desired by applying the same steps for rose buds) Repeat the process until the ruffled lace strip is filled. Allow the glue to dry completely before wearing the hairband. That's it. Now the hairband is ready to be worn. I made five of these hairbands and a pair of hair pins with similar materials and steps. (Glue the ruffled lace and rose buds to the pin). It is easy and simple to make. The designs are customizable for kids according to their likings and favorite colors. Which do you prefer - Casual work attire or formal work wear? How do you spot a liar? How many hours of sleep do you get everyday?